Delicious Delicious Delicious: Do WHAT to a biscuit? Do WHAT to a biscuit? I had an email from Gail at The Claytons Blog recently, about the blog event that they are currently orchestrating for the month of March. You can read all about it here. And you should. Because then I can go and pack my suitcase instead of writing all about it here (I'm in a rush!). Entrants have to make a huge version of a commercially available biscuit, at home, from scratch. This is called, ahem, 'pimping' a biscuit. I was sold on the first three points. Ordinarily, I am not a competitive person, but throw some flour, butter and sugar into the equation, and I am at it full throttle, guns-a-blazing, going to get me the gold medal and onto that #1 podium and you better believe it. Now, this challenge was not without it's difficulties. Despite having survived (though just barely) a childhood addiction to/dependency on those lurid pink wafers that come in the huge biscuit selection boxes you can buy at Christmas, as an adult I don't really buy biscuits that often, and those I like probably wouldn't appeal to judges ( my favourites are fig rolls and Garibaldi - hardly going to set the world alight with my creativity there, am I?). But the cookie gauntlet had been thrown down. On went my 'Blogging Community' apron: I was in. File under: 'To be pimped'. That coconut layer right there sold it to me. More to the point, Gail and Coby both Re-Invented the Lamington, so I owe them big for making them mess up their kitchens on my behalf. Ladies - I've got your back, make no mistake. 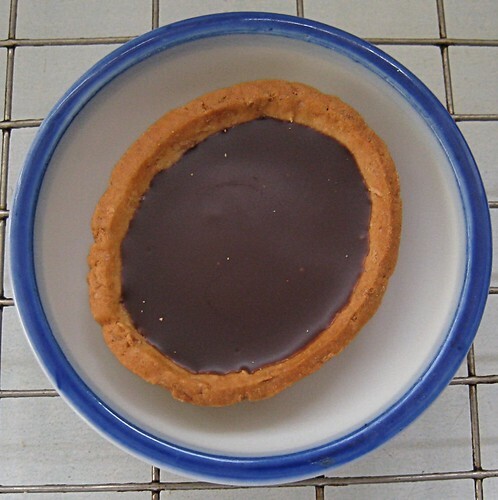 Rules state that the biscuit to be pimped must be a known brand in the entrant's country of residence, and also be scaled up to at least 8" in diameter. Well, I am pushing the boundaries rather more than just a little with my entry, but, darling, I live an international lifestyle, and for me, popping to the Monoprix at Beaugrenelle in Paris is just like nipping out to the Co-Op in Cardiff. OK, not really. But I do always stop off at the Monoprix when I'm in Paris, and frankly, had hardly any time even to make my entry let alone go shopping for inspiration on my days off. 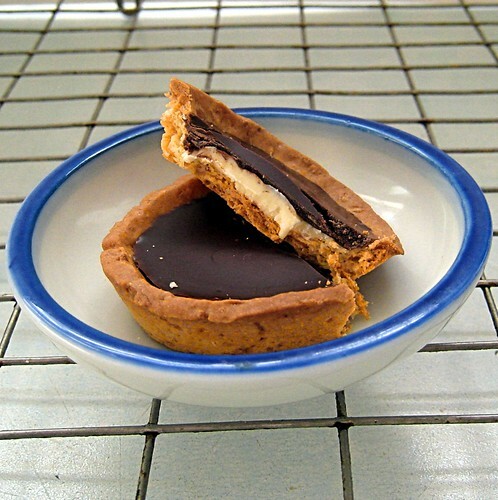 So Mr. P's entry to the competition will be a pimped version of Bonne Maman's tartelettes chocolat noix de coco. You cannot actually buy them in Cardiff;I know I risk disqualification (I did do step by step photos though, Gail, which is a first for me!). Anyway, the actual biscuits in question are ridiculously scrumptious. I do actually usually buy the chocolate version every once in a while, but thought the coconut layer in this variety would make things more interesting from a home-baking perspective. The packaged experience goes something like this - rich buttery biscuit shell, filled with dark chocolate and a grainy, coconut filled hidden cream layer. It is almost enough to turn me into a regular biscuit buyer. Since I doubt anyone will actually follow my lead and make this, I'm not posting the recipe as I usually would; completist readers are welcome to drop me an email however - I always like to hear from you. To 'pimp' it, I considered using pastry as the base, but wanted to actually make a biscuit, as opposed to a pie, so took some plain cookie dough out of the freezer (a half quantity), which, thankfully, I had previously labelled 'vanilla' - I nearly picked up the 'lemon' - and rolled it out to fit into the dish I was using. 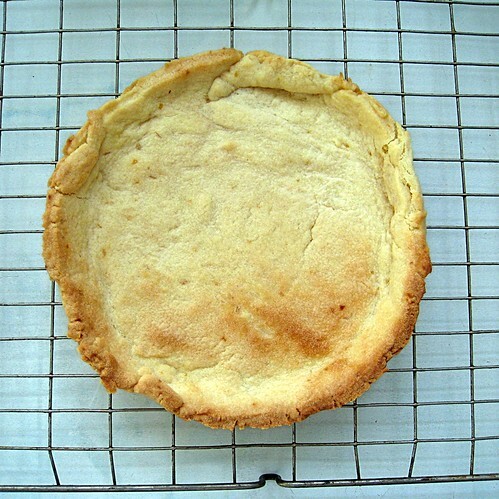 Then I baked at 180°C until I had a tart-shaped biscuit. Which looked somewhat more rustic than the bought version, but never mind. Then I mixed 1/3 cup of dessicated coconut with 3 tbsp double cream and spread the resulting (delicious!) mixture into the cooled cookie shell. Meanwhile, back at the ranch, I had some chocolate chips (about 1/2 cup) melting over simmering water. 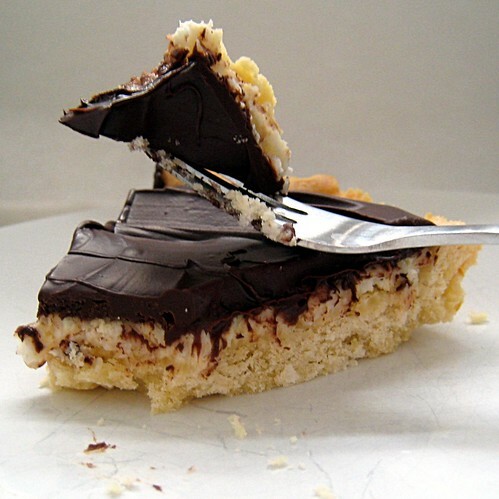 The coconut layer then received a thick coat of this glossily melted chocolate. 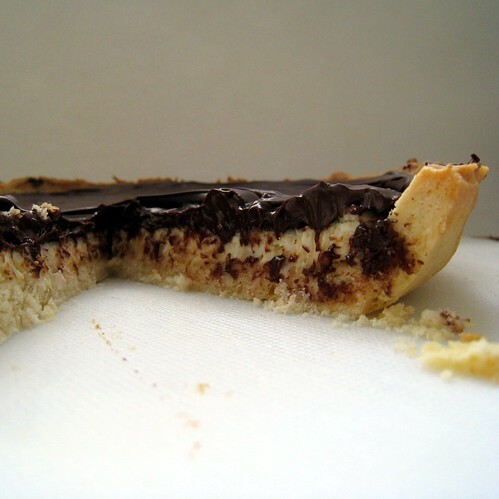 If I were to do this again, I would use a ganache instead, or add some butter the chocolate to make it more liquid - the biscuits themselves have a smooth top, which I couldn't achieve with melted chocolate alone. Too time-short for regrets though am I, so let's get over it. I always think I don't like chocolate as much as everyone else. But I do. I do. Enough talk - how did the pimped biscuit taste? Well, as you'd expect, about a million times better than anything out of a packet. Mr. Other P was left with over half of it when I went to London the day before yesterday, and I got back last night to find it gone. All of it. For size comparison, and to remind me to buy hand cream. Would I do this again? Well, I probably wouldn't 'pimp' any more biscuits (though you never know - the mint Viscount is not without its charms), but I would certainly make this as a dessert if I had the ingredients lying around. And I pretty much always do, so we'll see. Now, where's my gold medal? The competition is open until the end of March. You know what to do. This looks beyond fabulous! Love your gorgeous photos, too! That look yummm :( share ? i had a slight giggle at your hands! mine look worse and im female! where are you off to this timee? I'm still skulking around the biscuite isle trying to choose which one to pimp!! Thanks for your visit and comment yesterday! If there is anything I love more than coffee it's Chocolate mixed with coconut. Love the challenge -- like something out of Gulliver's Travels. The pic of the mini and maxi biscuit is especially great. Oh my, does that ever look fabulous! 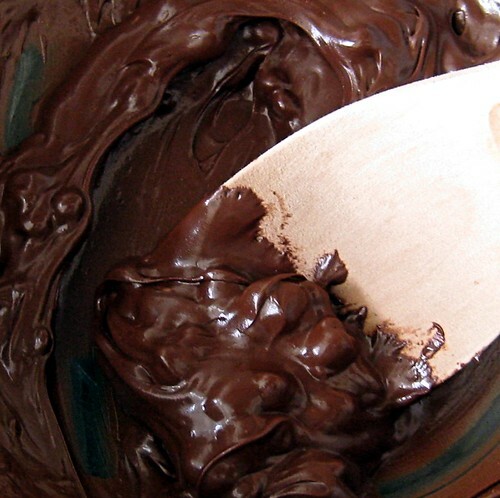 That dark chocolate with the coconut! Wow. My, that certainly does look delicious! 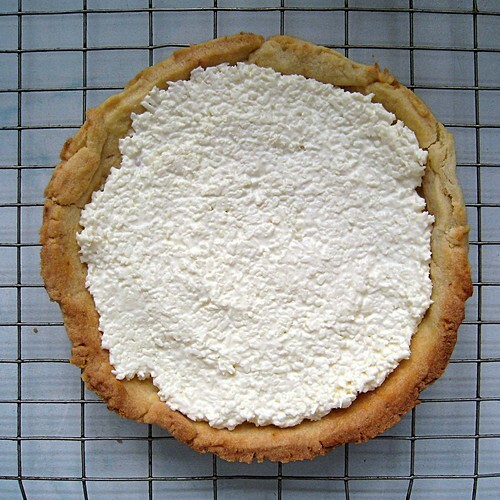 Now I am craving tarts again. 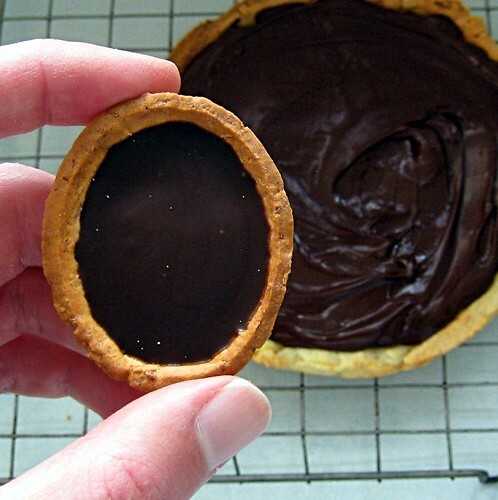 Oh and yes, chocolate ganache would be bliss on these. My housemate has been trying to get me to pimp a biscuit or chocolate for a while. I should stop wearing velvet suits and drinking from jewelled goblets around the house. I hope you were not foolish enough to expect any of it left when you returned. It would have lasted the length of time it took to make and drink a cup of tea if left in my general area. This is very Alice in Wonderland, super big cookie... super little cookie. I'm trying to figure out how to make a super big Fig Newton. Nothing is coming to mind. Mr P what a great "pimped" biscuit! The judges have discussed your "variations" to the rules and we have decided...........................................................................TO ACCEPT YOUR ENTRY! This looks fun, I like the idea of pimping biscuits but not sure what sort to choose. I was going to do wagon wheels but it looks like someone already did it. My hands always look yuk in close up photos. I console myself it's because I wash them too often. Hello again, re macaron recipe, you could use the lemon/rosemary recipe but sub vanilla for lemon flavouring and don't worry about making up the weight of the zest/herbs. So long as you stick to the same quantities of egg white, icing sugar and nuts, you seem to have a bit of leeway for 15-20g worth of flavouring. Hope that helps and good luck! Well done on new macs, try beating them bit more next time so the peaks sink into the blobs. Are you on twitter or got email? This blog post tennis is hard work!!! Who cares if can buy them in Cardiff or not? 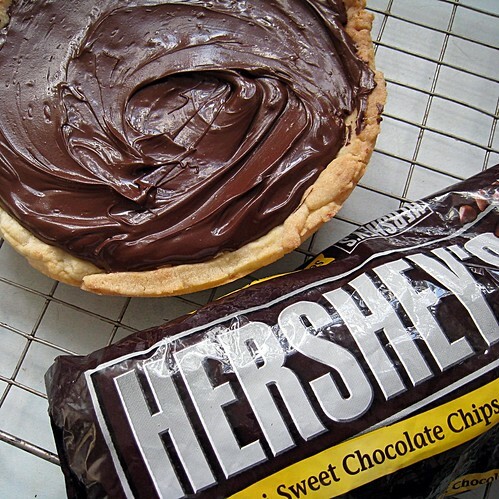 This looks fab, and deserves a prize for all that tooth-sinking chocolate deliciousness.